We all know Stainless steel is notable for its corrosion resistance property. 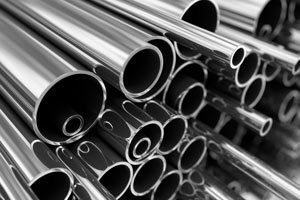 Stainless steel is an alloy of iron and chromium which will significantly improve the corrosion resistance property. Along with the chromium, there are few other alloy elements to make the stainless steel more strengthen and harden and tough and increase the few other mechanical properties. Stainless steel is the one with amazing corrosion resistance property. the chromium percentage will be varied among the different grades of stainless steel. Apart from the chromium, there are the following alloy elements will be added to get the desired mechanical properties. 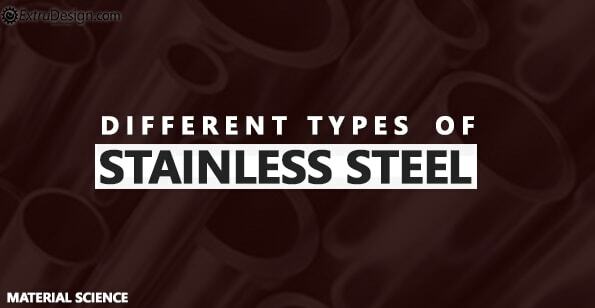 There are different types of Stainless steels are available. 12 – 14% of Chromium and 0.12 -0.35% of carbon. Suitable for machining and welding easily. These are tough and ductile and have good magnetic properties as well. The tensile strength of the Martensitic Stainless Steel is 600 – 900 N/mm². Suitable to make hydraulic pumps, steam pumps, oil pumps, and valves. 16 – 18% of Chromium and less than 0.12% of carbon. Due to the ferrite microstructure, it is called as “Ferritic Stainless Steel”. Have better resistance properties than the Martensitic Stainless Steel since the chromium percentage is slightly higher. They can be used for both cold worked and hot-worked. Have good ductility property and ferromagnetic properties. Used to make sheets and cold forming and pressing operations. Austenitic Stainless Steels are the biggest family of the stainless steels. so there is a wide variety of chemical compositions. 18% of Chromium and 8% of nickel and carbon is at very low as possible. Can be forged and rolled easily and welded as well. Will have difficulties in machining. It has the greatest resistance to the corrosion among the other types of stainless steels. Used to make pump shafts, rail rods, screws, nuts, bolts, and springs. It’s a great chemical resistance, so it can be used with chemical and food, paper making industries. There are few other types of stainless steels are also available, such as duplex which is the combination of ferritic and the austenitic stainless steels as equal compositions. Among these most of the stainless steels are used are from the austenitic stainless steels only.